Elethu, the successful 100% black-owned grape farming initiative that benefits Bonnievale Wines workers, is approaching a significant milestone. The Bonnievale Wines management team has a long-standing mentorship relationship with this successful Black Economic Empowerment farm. 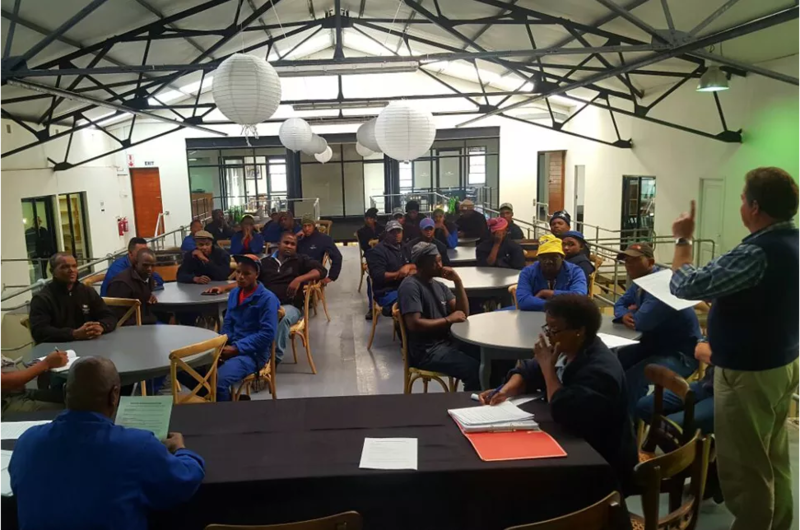 In May next year the equal shareholding in the 30ha Elethu farm initiative comes to an end and 100% management is transferred to the Bonnievale Workers Empowerment Trust. The trust recently declared a dividend for its 31 beneficiaries from the Elethu (“It is ours”) farm’s 2016 harvest. All the beneficiaries are Bonnievale Wines cellar or farm workers, including the farm manager. The Trust owns the 32ha farm and has planted 16ha of grapes. The workers operate the farm in 50/50 collaboration with a commercial farmer. When this agreement ends in May 2018, however, the Trust will take full responsibility for the farm management. The Bonnievale Wines management team will still provide mentorship support. The Trust has applied for funding to plant a further 16ha of grapes next year. According to John Barnardt, Bonnievale Wines CEO and chairperson of the Trust, this will mainly be cabernet sauvignon.